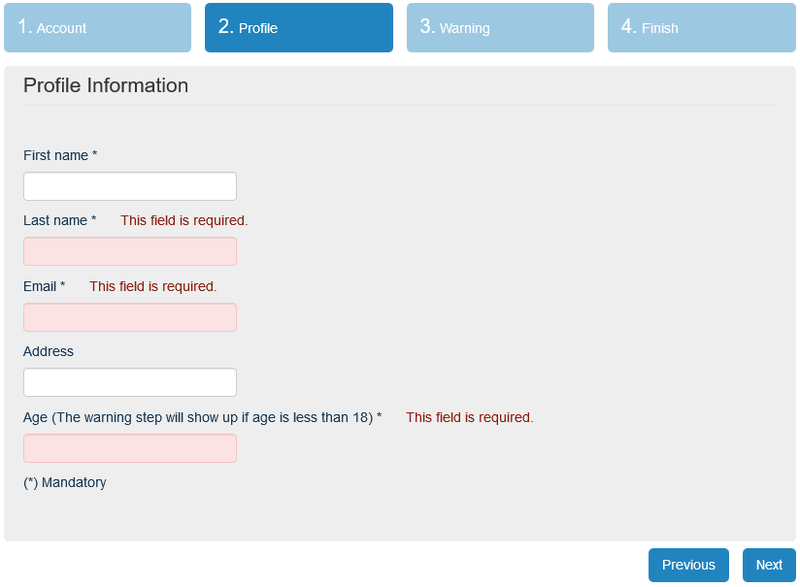 jQuery Steps is a lightweight wizard UI component written for jQuery. Include jQuery and jQuery Steps in your HTML code. Then select an element represents the wizard and call the steps method. How to add initial steps? There are two ways to add steps and their corresponding content. Add HTML code into the representing wizard element. Or use the API to add steps dynamically. For more samples check the demos. I'm always happy to help answer your questions. The best way to get quick answers is to go to stackoverflow.com and tag your questions always with jquery-steps. Copyright (c) 2013 Rafael J. Staib Licensed under the MIT license.